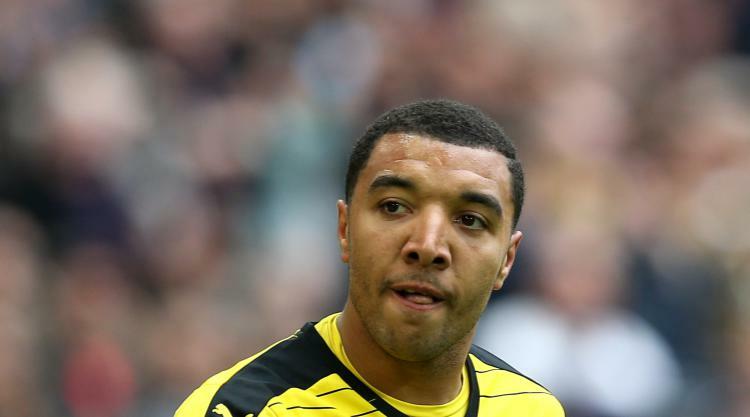 Watford manager Marco Silva revealed he has spoken to Troy Deeney about the striker's latest disciplinary problems following his four-game ban. Deeney will be unavailable for all of Watford's festive fixtures after he was sent off against Huddersfield in last weekend's 4-1 home defeat. Watford were unsuccessful in their appeal to overturn Deeney's red card, meaning their captain will miss the matches against Brighton, Leicester, Swansea and Manchester City. Deeney, 29, who has scored just twice this season, was also given a three-match retrospective suspension back in November after he admitted a charge of violent conduct against Stoke following a clash with Joe Allen. "I don't want to talk about whether I am surprised or not about the decision," Silva said. "It is done, and everything I could say to you will change nothing. "I have already spoken with Troy. What I tell him, he knows as well, is to stay between me, our squad, and inside the club. "Troy is an honest player, and a player who gives everything to help the team. He knows what I told him." Deeney's first-half dismissal against Huddersfield marked Watford's fourth red card of the season - the highest of any club in the Premier League - while they have also ended their last three fixtures with 10 men on the field. But Silva, whose side travel to Brighton on Saturday, defended the club's record and pointed to their number of bookings, which places them eighth of the 20 teams, as an indicator that they are not a dirty outfit. "Of course for me it is better if you have everybody available and your squad is ready to play," Silva added. "You are stronger if you have all of them. "In the last three matches we have played almost two hours with 10 players. But if you make the analysis about red cards, you can look at yellow cards, too. If you look at the bookings our team is in the middle of the table. "Our team is a fair one which tries to compete and play in the normal way. Some things happen in the moment. If you really have a disciplinary problem you are the first in yellow cards, but that is not our way. "We have had a lot of problems to solve with injuries and the suspensions. It is not the best scenario, but I am here to find the solutions."